Fresh off the press the team at HoneyStick is proud to introduce one of the highest quality, premium reloading smoking pipes available. 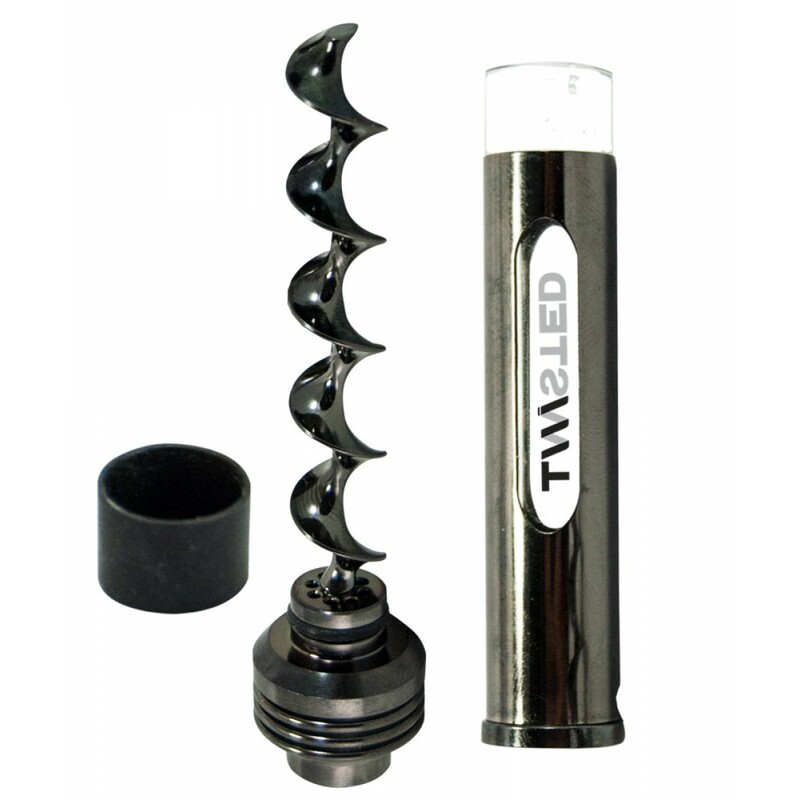 Designed to maximize performance, elegance, and discreteness our Twisted HTR is perfect for people on-the-go, or the connoisseur. 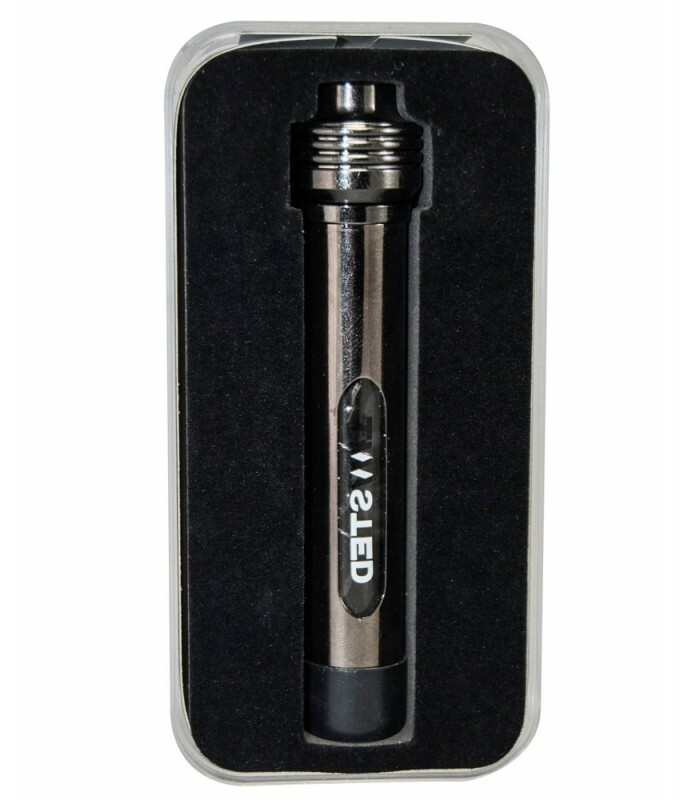 The Body of the unit is made of a high grade German glass designed to preserve taste and withstand torching heat, this glass is covered by a high grade gun-metal sleeve, to not only protect the glass, but insulate it from heat transfer during lighting. 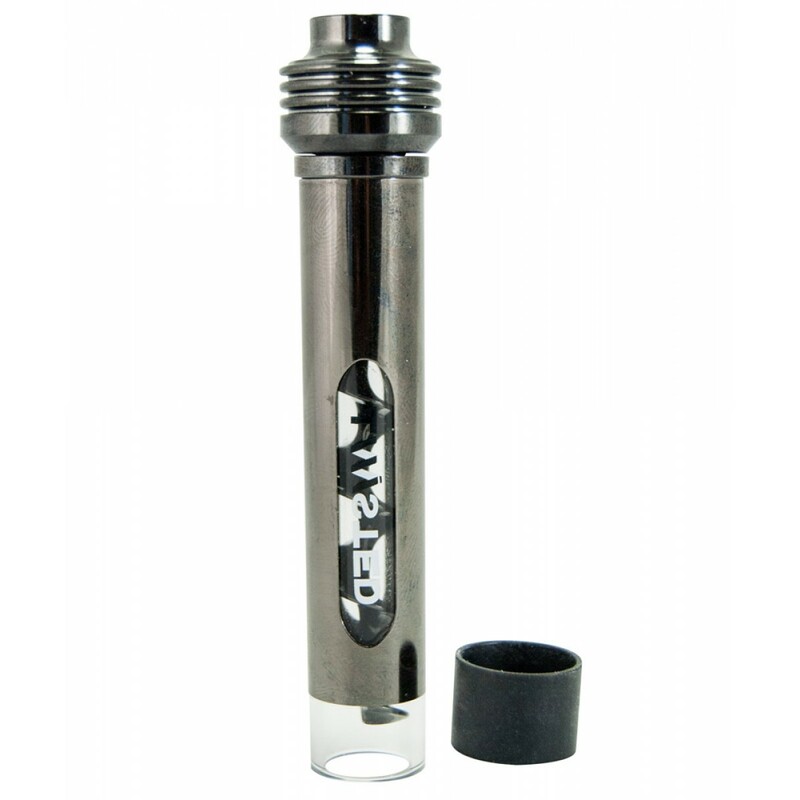 - Protective Gunmetal Sleeve providing Protection, Concealment, and Insulation. 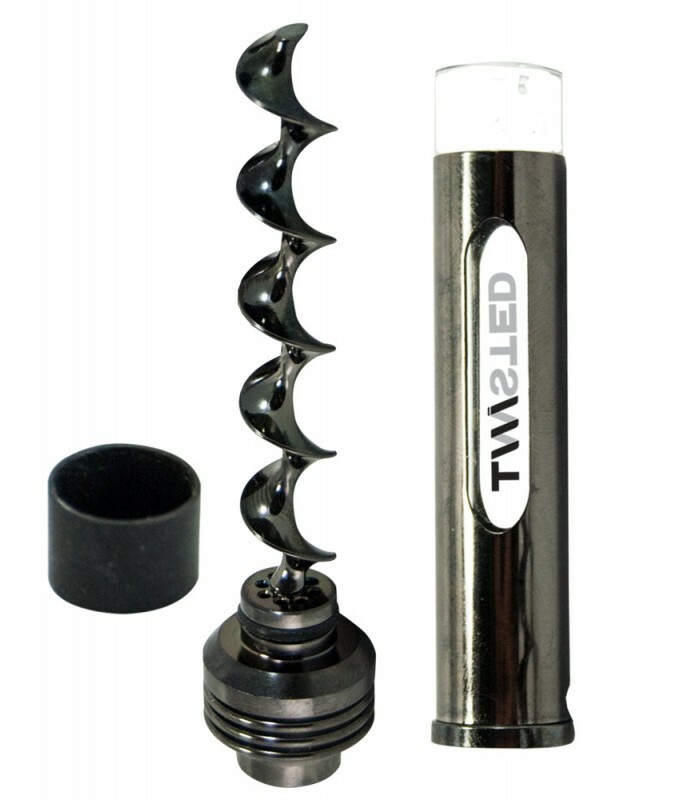 - Unique mouthpiece for maximized flow and filtration. 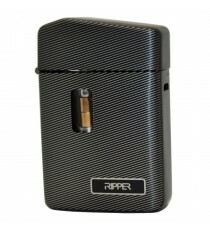 - Will fit most standard bong stems. 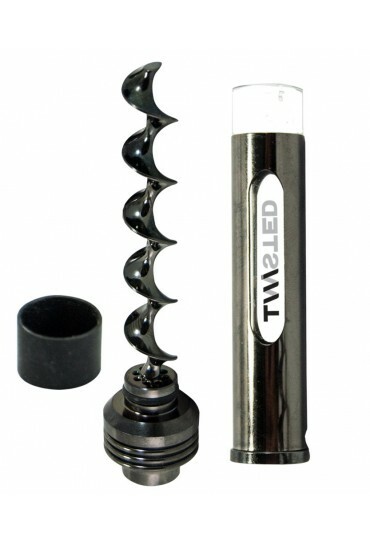 - Threaded Plunger for rapid reload. 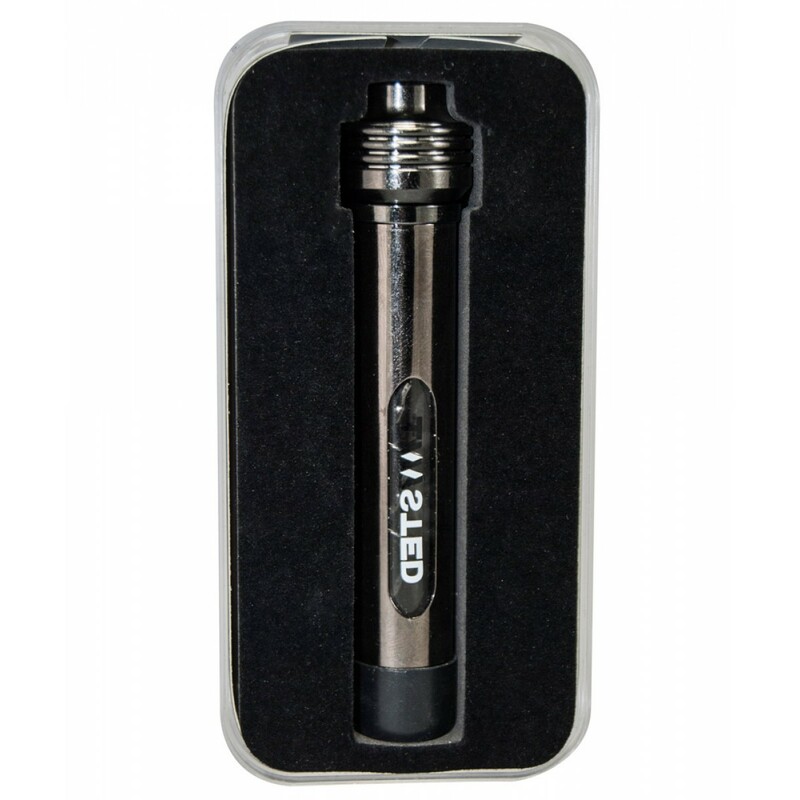 This metal sleeve has a strategically placed window on both sides so the level of its contents can be seen while maintaining concealment. 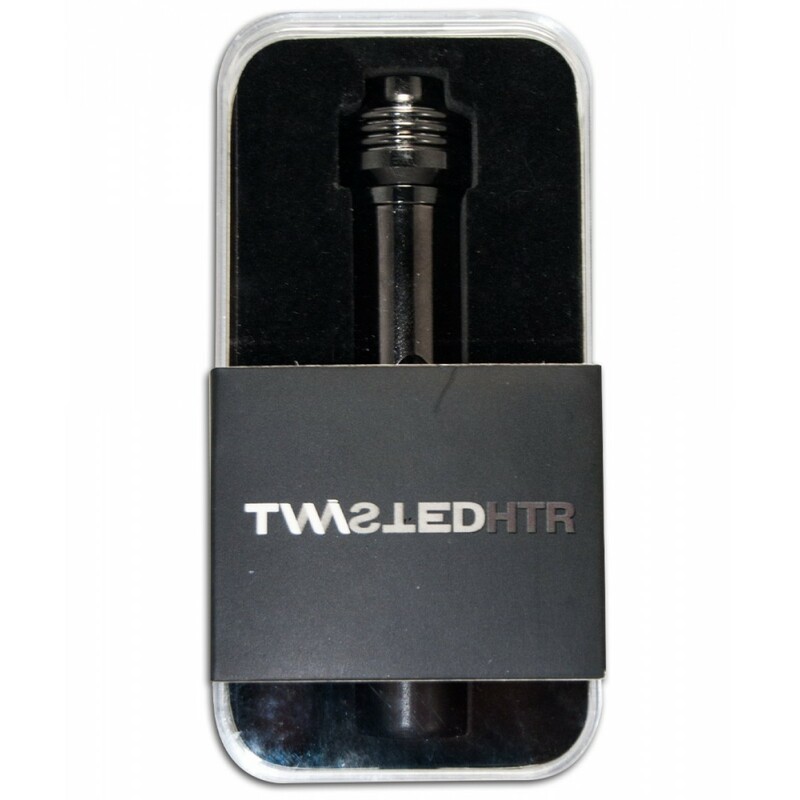 This sleeve, covers 80% of the unit to allow only glass portion to be lit. 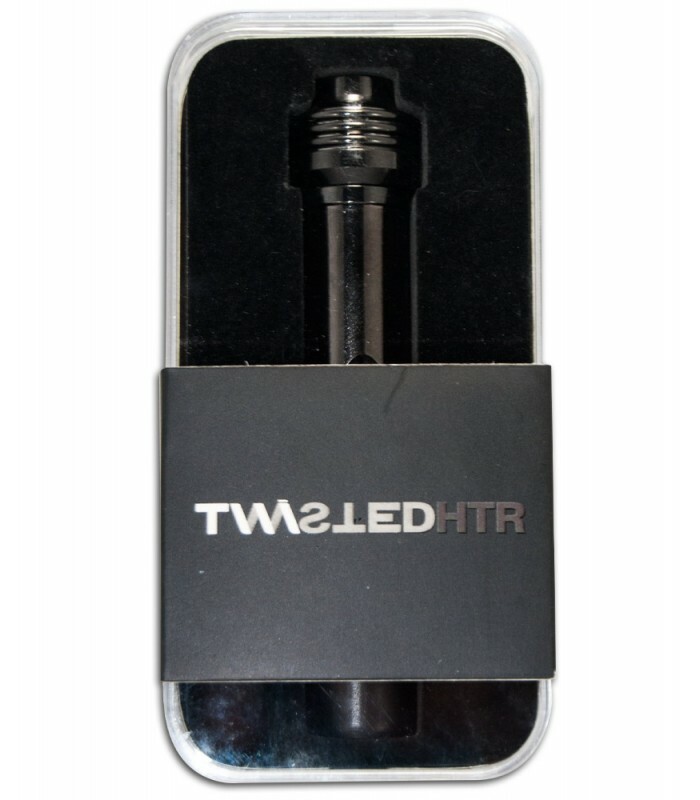 The Twisted HTR comes with a specially designed mouthpiece that offers maximum airflow and filtration and is sized to adapt to standard bong stems / rigs. 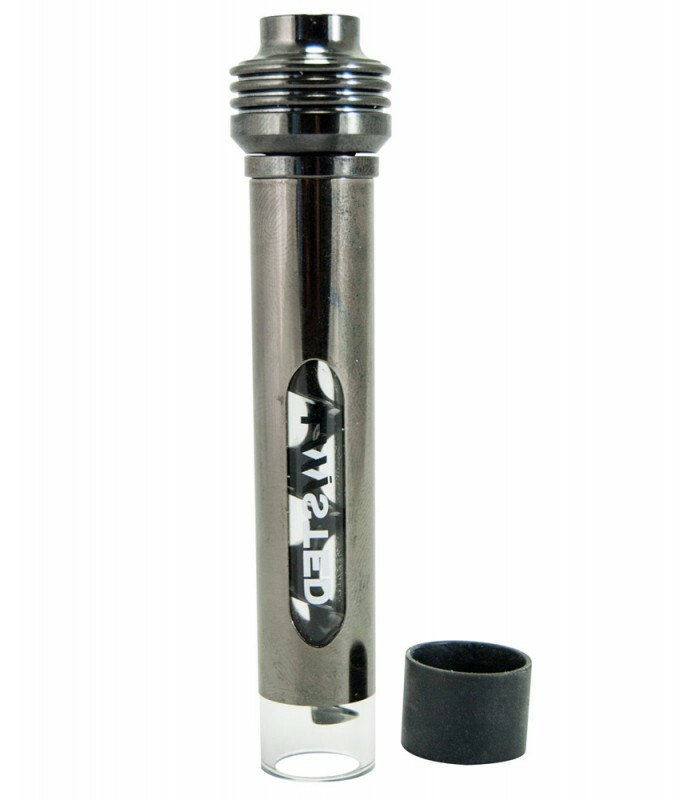 The mouthpiece is attached to a perfectly threaded plunger that with a simple twist allows for rapid reloading. 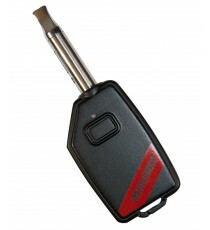 Lastly a silicone cover keeps the glass part concealed during carry and contents highlight packed/ sealed when loaded.